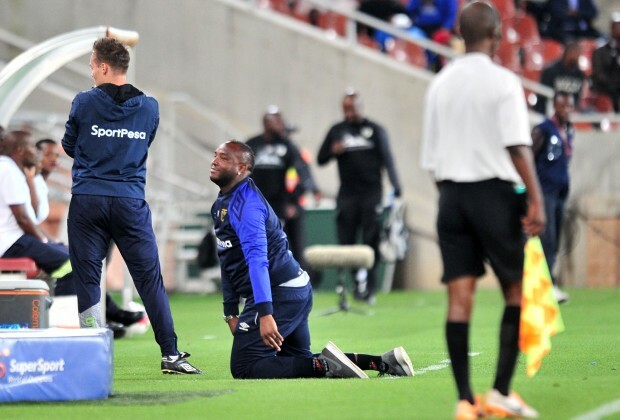 “You can play beautiful football, you can dominate for 90 minutes, entertain the fans, but if you don’t put the ball in the back of the net you ain't going to win games and I am afraid that it’s the story of our season, you know,” McCarthy told SuperSport TV. “We play nice football and I could count, 4, 5, at least five goalscoring chances, I think even my Grandma could have put it in. “I don’t even know what I am going to say to the boys because you can’t be hard because they really went out there to put on a show but unfortunately if you don’t score goals, you don’t win football games. "It becomes difficult and now it looks like it is a mountain to climb again for us but yeah, back to the drawing board, we continue to push forward,” he added.